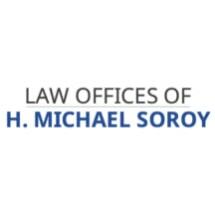 The Law Offices of H. Michael Soroy helps people and businesses in Los Angeles, California, with their legal goals. When you have legal needs with respect to a business, a real estate question or an estate planning issue, our attorneys are committed to providing you with the right knowledge and tools. With more than 25 years of experience, we know how to assist you. We hold the seasoned legal judgment you can depend on confidently when making important decisions about how to move forward. We advise clients with respect to transactions as well as when disputes must be litigated. We will help you understand your options and now to choose from those options wisely. Moreover, we make it a point of pride to help each client in a personalized manner. We take the time to get to know you so we can tailor our legal representation to you according to your specific circumstances. We want you to view us as a resource for more than just one issue here and there. We want you to view us as your adviser for all of your business and personal questions. To do that, we maintain a roster of attorneys with a comprehensive grasp of a variety of the most important issues facing businesses and individuals today. Where we do not maintain a particular resource, you can trust us to put you in touch with someone we can recommend.